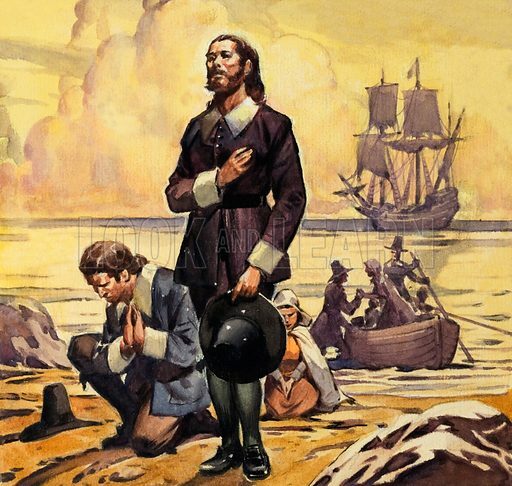 Pilgrim fathers arriving in America. Original artwork for Look and Learn. Lent for scanning by the Illustration Art Gallery. Available worldwide for immediate download up to 4,106 x 3,897 pixels.